Walking the Workers' Recovery Talk - Are Jurisdictions Listening? 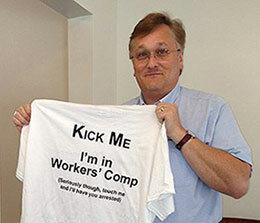 Six years ago, in 2013, I started my campaign to rebrand the workers' compensation industry. As many people know, I believe it should be called “Workers' Recovery.” The idea isn't simply to change the name; the belief has been that the simple adjustment of one word would shift the focus of our industry, reduce litigation, save money and improve outcomes. The industry would be called Workers' Recovery. Adjustors would become Recovery Specialists. And Injured Workers would be referred to as Recovering Workers. I've spoken on this idea many times around the nation the past few years. The concept involves transparency, communication, compassion and an empathy for the recovering workers situation. It involves simple gestures like sending a card, as well as more complex challenges like engaging the employer and getting them to positively interact with their workers when off the job. It focuses on restoring function and quality of life, recognizing that an engaged worker who is a partner in their recovery will heal faster and be more likely to return to work. It includes empowering and improving the work life of the claims professional. And it involves touching the workers' family and social network, recognizing that people far beyond the accident victim are often impacted by a serious workplace injury. We've had minor gains during these years. Some jurisdictions are adopting the Recovery theme in internal training. The state of Washington named their new vocational plan the “Vocational Recovery Project” after the concept. Other speakers have embraced and promoted it. Tim East, the Director of Risk for the Walt Disney Company, openly discussed and endorsed the idea during a keynote address at the National Workers' Compensation and Disability Conference a few years ago. But, up until now it has all been talk. Theory. Conjecture. It has been, in the public eye, merely a concept open for debate. That changed yesterday, with an article from Nancy Grover published on this site. And I must note right up front – I didn't have a damn thing to do with the program she wrote about. In her article, Grover introduced the industry to the Workers' Recovery Unit; the workers' compensation claims operation division of Continental Western Group, a Berkley Company. The formerly traditional claims unit of the company has been transformed over the last few years under the vision and guidance of Claire Muselman, director of the Workers' Recovery Unit. It was all there. Everything we've been talking about for more than half a decade. Communication. Compassion. Restoring function and quality of life. Even engaging the employer and sending personal cards. And you know what else was there? Reduced litigation, better outcomes and happier claims professionals. I heard from a couple friends yesterday after the article was released, congratulating me for what they perceived to be a result of my incessant bantering on Workers' Recovery over the years. I hated to disappoint them, but as previously noted, I had nothing to do with it. The Workers' Recovery Unit of Continental Western Group (CWG) came about all on its own in a parallel track. It was the brainchild of Ms. Muselman, and her idea alone. So, I can't take credit for any of their success – and I don't care. The point is that for 6 years I have been talking the talk, while on their own and completely unaware, Claire Muselman and CWG have been walking the walk. I've been opining while they have been refining. They are proving the concept, and that is all that matters. It is a small gain of yardage in a very early game. A few other companies may eventually emulate the concept, but until legislators and regulators get fully onboard with it, the much-needed paradigm shift for the industry will not occur. If the entire industry is to benefit from a recovery mindset, the states must be brave enough to take the lead and bold enough to drive the shift in culture. For us, the short-term goal is one visionary jurisdiction; just one state needs to change their system to adopt the Workers' Recovery brand, and we will be on our way down the field. Are they listening? And which one will it be? In the meantime, we will keep on talking. It will be a little easier now that someone is actually doing the walking.